Scientific writing requires evidence. You cannot just make it up! References to other publications show that you are aware of the background of your topic, of current research, and of relevant official data. They also show that you know how to use all that information to support your findings. Too many citations make your text difficult to read. Citations must not be too long. Your text should mostly be your own, not a copy of someone else’s. According to Palldino and Wade (2010), “a flexible mind is a healthy mind” (p. 147). In 2010, Palladino and Wade noted that “a flexible mind is a healthy mind” (p. 147). In fact, “a flexible mind is a healthy mind” (Palladino & Wade, 2010, p. 147). “A flexible mind is a healthy mind”, according to Palladino and Wade’s (2010, p. 147) longitudinal study. Palladino and Wade’s (2010) results indicate that “a flexible mind is a healthy mind” (p. 147). Use your own words. It is not enough to replace one or two words with a synonym! Make sure your readers are absolutely clear about which parts of your text are paraphrases, and which parts are your own ideas. When should you use references? When giving an overview of the research carried out previously: your starting point. When you use factual (e.g. statistical) data which you did not collect yourself. To support a statement: to indicate that it is based on research, and not something you just made up. Sometimes, but not too often, simply to illustrate a point you are making. When information is considered “common knowledge”, you need not add a reference. “Common knowledge” is something which anyone familiar with a field of research is expected to know. In case of doubt, it is better to add an unnecessary reference than leave one out which is required. When you publish a text, you want other people to credit you when they use your work. The same applies to the authors whose work you use! Using someone else’s work or findings without indicating that you have done so is plagiarism. 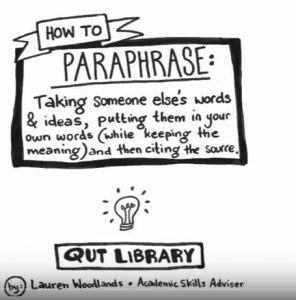 Always cite or paraphrase correctly. Better be safe than sorry; it is better to add an unnecessary reference than forget a necessary one. There are certain rules for the order of the references in your reference list as well as for the formatting of the references themselves. These rules are determined by the citation style you choose. There are many different citation styles available. Usually, you will be told to use a specific reference style, so you can simply look up the style on the internet or in a book and make sure you follow its rules. If you can choose your own style, it is a matter of personal taste. Just make sure you consistently use a single reference style. All reproduced images, photographs, tables and figures in your paper must be cited three times: in the text, in the caption beneath the image (including a copyright statement) and in the reference list. A copyright statement is not necessary if you have bought a stock photo or if the image is your own work. In that case use the words “own work” in the caption or add a note in your text stating that photo’s or drawings without reference are your own. Copyright permission: “Reprinted [or Adapted] with permission” (only when you have permission) or “In the public domain”. 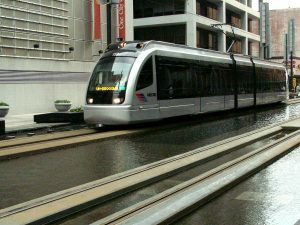 Figure 7: Light rail Houston. From “Wikimedia Commons,” by M. Haase, 2006 (https://commons.wikimedia.org/wiki/File:Light_Rail_Houston.jpg). Licensed under CC BY 2.5. When formatting references, using reference management software is a real help. Check the TUlib module about Reference management to learn more. If you use these tools don’t forget to check your references! Reference styles can be divided into two main groups: author-date styles and numbered styles. Author-date styles are sometimes also called parenthesized styles. Reference list References ordered alphabetically, by author’s name. References ordered numerically, in the order in which they appear in the text. Advantage A reader can recognize important original texts from the in-text reference, without having to check the reference list. A reader who wants to check all references while reading a paper, can easily move from one reference to the next without having to search for the next author’s name in a (long) list. Disadvantage Longer in-text references (for example, references with multiple authors or more than one reference in the same place) can make a text more difficult to read. In-text references do not contain any useful information themselves. For examples in APA style look at the APA 6th Citation Examples. Sometimes these terms are mixed up, but formally a reference list is a list of all publications an author refers to (either cites or paraphrases) in a document. A bibliography is more extensive: it also includes works the author read in preparation to writing a document, but did not actually refer to. A bibliography is usually only included in a longer publication, such as a book or a PhD-thesis, while a reference list is customary in all academic writing. Take the test on plagiarism! Do you want to test yourself?